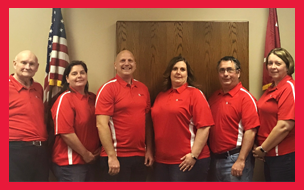 The Springfield Platteview Community Schools Board of Education oversees the management of the schools and is the policy-making body. The board has overall responsibility for the curriculum, school taxes, budget, employment of the superintendent and other professional staff, and facilities. The governing board includes six elected members who serve, without compensation, for a term of four years. 4023 - Reporting Crimes, etc. 8232 - Use of Public Office Confidential Information or School Personnel etc.